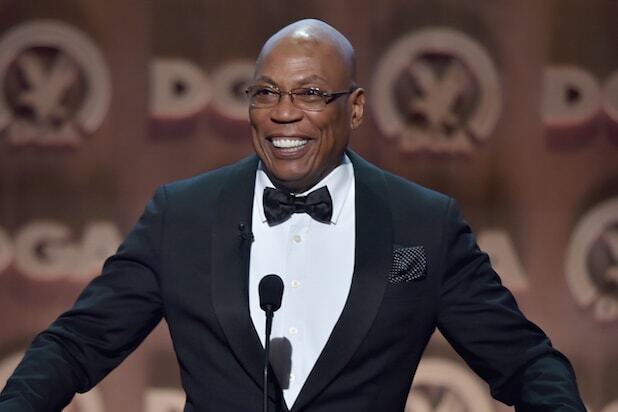 Director Paris Barclay has been re-elected to a second term as President of the Directors Guild of America, the DGA announced on Saturday. The election was made by acclamation at the guild’s National Biennial Convention at DGA headquarters in Los Angeles. Other officers elected included Jon Favreau, Betty Thomas and Thomas Schlamme. Voting was done by 138 delegates representing the 16,000-plus members of the DGA, which includes directors, assistant directors, stage managers, unit production managers, associate directors, production associates and location managers. Barclay was first elected to a two-year term as DGA president in 2013, ending a decade in which the guild was led by presidents, Michael Apted and Taylor Hackford, who were best known for their film work. Barclay’s career has focused on TV, with more than 150 episodes of such shows as “In Treatment,” “Glee,” “NYPD Blue,” “Weeds” and “Sons of Anarchy.” He won the DGA Award for “NYPD Blue” and also won two Emmys for that show. Prior to serving as president, Barclay served four terms as the DGA’s first vice president and three terms as third vice president. His committee work at the guild includes co-chairing the African American Steering Committee from 2000-2002 and co-chairing the Diversity Task Force from 2004-2013. He has also served on the Single-Camera Creative Rights Negotiating Committee, the Single Camera Directors Prep Program (which he created) and the DGA Political Action Committee.